One of the coolest announcements around New York Comic Con (New Tork Comic Con?) was that The Archies #4 would feature a meeting between the greatest Prefab Fours in music: The Archies and the Monkees. This is something we more or less predicted here but it’s eminently cool that it’s coming to pass in January’s issue, by Alex Segura, Matthew Rosenberg and Joe Eisma. 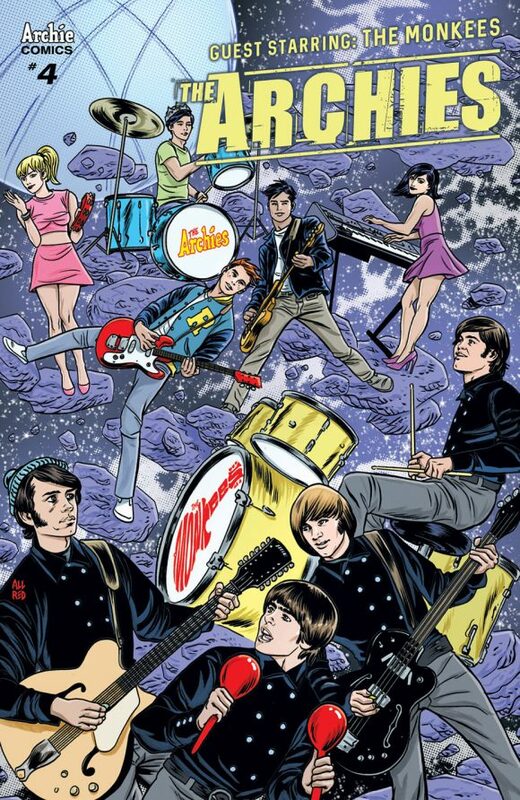 Now, Mike Allred, one of our faves in these parts, is doing a variant cover for the issue (above) and I happen to know he’s a major Monkee maven (and a musician in his own right). So I asked him to pick his 13 Favorite Monkees Songs. 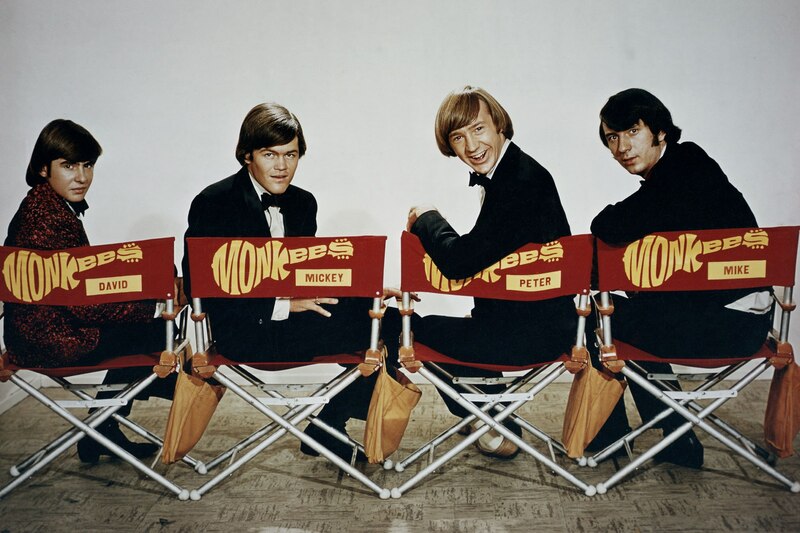 My feelings about the Monkees are warmly nostalgic as well as eternally beloved with a constant renewed appreciation, and actually much, much more than words can express. Or that they didn’t play their own instruments on their albums — which they fought against, succeeding with their pure vision on Headquarters. (Just check out the recording history of the Beach Boys or the eye-opening info in the doc on the Wrecking Crew). But forget all that. Bottom line: Micky, Mike, Peter and Davy were amazingly talented and made great music that I love more each time I hear it. 1. I have to start with their Theme Song. This is where it all began for me and I always looked forward to hearing that first “bah-dump!” when I got home from school and turned on the tube. Good times were always guaranteed. 2. The Porpoise Song. This gorgeous psychedelic gem starts their movie Head, which I am a rabid fan of. Cultists of this flick know what I’m talking about. Completely unique and weird in the best kind of weird way. Also, gotta say: Micky Dolenz has one of the best voices in the history of rock. 3. Take a Giant Step. Another great tune with a psychedelic vibe. 4. Sweet Young Thing. Mike Nesmith is a great songwriter. And this song is one of my favorites. It has a killer drive to it. 5. Daydream Believer. One of Davy Jones’ finest moments. This is one of the all-time great sing-along songs. You wanna get folks to sing along with you at a karaoke bar. You can’t go wrong with this baby. 6. Shades of Grey. Peter Tork didn’t sing lead anywhere near as often as his three bandmates, but he really steps up on this hauntingly beautiful song, which he sings with Davy. 7. I’m A Believer. Besides the great songs that they wrote themselves — which they did, folks — they scored big time with songwriters like Harry Nilsson, Carole King and Neil Diamond, who wrote this classic. 8. (I’m Not Your) Steppin’ Stone. Man, this song moves! I realize I can easily swap the order of these songs and even replace them all with another group of 13, with few regrets. 9. Randy Scouse Git. Crude Brit slang that Micky picked up in the UK when he wrote this kicky tune. 10. Pleasant Valley Sunday. A monster hit that deserved to be a monster hit. A perfect recording. 11. Zor and Zam. An incredibly simple ditty that cuts right to the bone of the absurdity of war and the pompous leaders that push conflict. 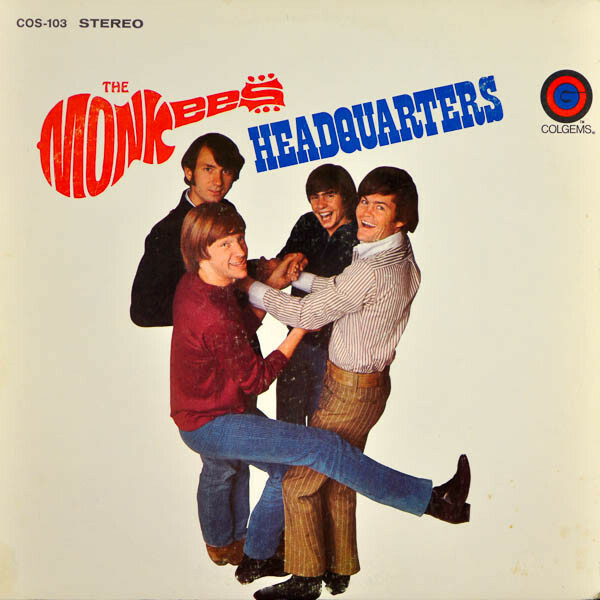 Have to honorably mention Mommy and Daddy as another powerful anti-war number from the Monkees, both sung masterfully by Micky. 12. She Makes Me Laugh. The first single for the Monkees’ latest masterpiece Good Times. I’m not kidding, the album is a masterpiece. Every song a treasure. Already out of room or I’d happily start listing my favorite songs from this terrific album. Check out the video made up entirely of panels from Monkees comic books! 13. For Pete’s Sake (Closing Theme). A Peter Tork masterpiece taking full advantage of Micky’s magic vocals. My favorite thing about the end of each Season 2 episode was getting to hear this song long before I could afford to buy my own albums. Always puts a smile on my face. Wow, so many songs that should be mentioned. I can already hear the calls of “Why didn’t you list…?” Make your own cussin’ list! — EXCLUSIVE: MIKE ALLRED Talks New MONKEES Album Project. Click here. — For an EXCLUSIVE PREVIEW of The Archies #4, click here. Solid list! Love to see the oft-overlooked theme song on here. Everyone knows it but it almost never shows up on fans’ best-of lists for some reason. No place for “Last Train to Clarksville”? I would add You Bring The Summer, Whatever’s Right, Love to Love, I Wanna Be Free just to name a few. A near-perfect list, sir. If I would make any change, it would be to replace “Zor and Zam” with Davy’s “You and I” (with it’s blistering guitar licks by Neil Young!). Great list. It’s hard to pick just 13 as there are so many gems. I would add “Words”, “Forget That Girl”, “Tapioca Tundra”, “Papa Gene’s Blues” and “Me & Magdalena”. Put these guys in the R ‘N’ R Hall of Fame already! Allred is right about Good Times album. So many great songs on that album that have become canon and up there with the best of the best they ever did. If I had to pick others with She Makes Me Laugh it would be Me & Magdalena & Birth of an Accidental Hipster. I think both of those songs will be on best of Monkees tracks lists 50 years from now. Along with the three great Carole King songs you’ve already got here, I would add sometime in the morning also. But it’s a great list.